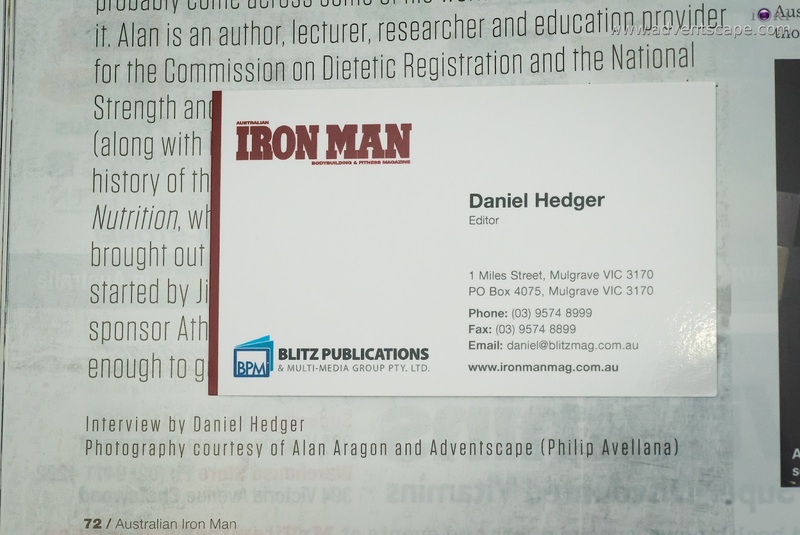 Daniel Hedger, editor for Ironman Mag Australia, did a separate interview with Alan. They made an article in August 2015 issue (Volume 22 No.7) of Ironman Magazine. 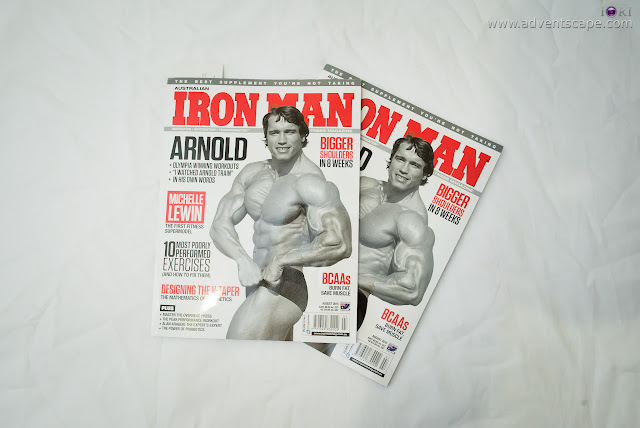 I had been in contact with him for the usage of my photos. 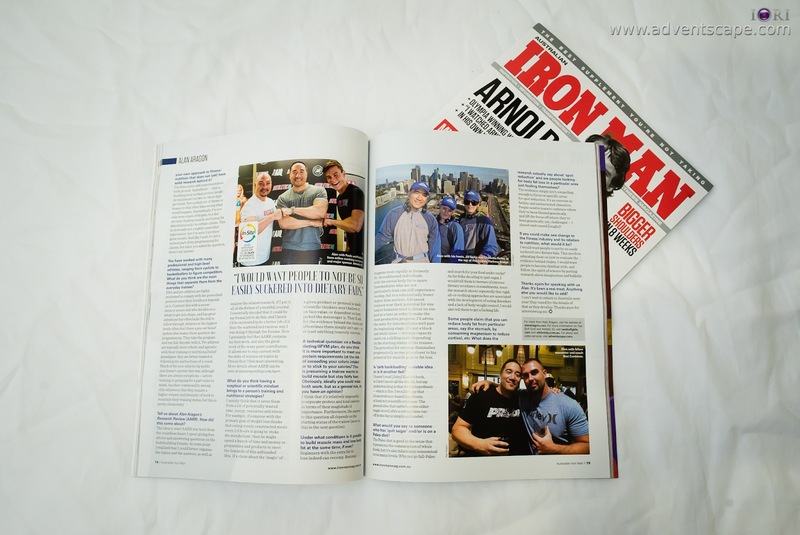 Since Ironman Mag will also use photos in which Paolo and Robbie are included, I gave a heads up to Athletic IQ. Above is the cover photo where my photos are featured. It starts at page 72. It’s all about communication. These types of transaction are rare, spontaneous and open. You just need to put everything on the table and be honest. It’s a pleasure talking to Daniel and having a conversation with Paolo. In the end, Daniel got what he needs with the permission from both myself and Athletic IQ. 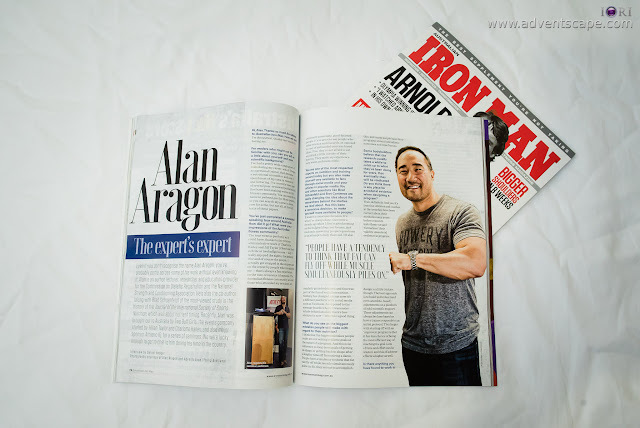 If you wanted to read this informative article, go to their website and subscribe. They have other information that are useful for health.